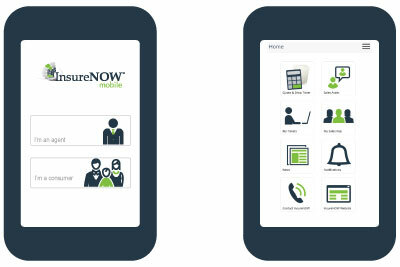 The InsureNOW Mobile App, powered by Crump Life Insurance Services, will make life insurance easier than ever for consumers and producers. Consumers will be able to run term quotes and connect with producers in minutes. Producers will be able to run term and perm quotes, drop tickets, make Sales Assist requests, receive notifications, and much more while on the go. 1 Registered and associated persons of FINRA member firms must receive approval from their firm’s compliance department prior to using the text messaging option.